"There is no force more powerful or beautiful than Woman who come together determined to OPEN, HEAL, TRANSFORM & RISE"
*We will drop into Movement As Medicine Exploring the Transformative power of the Dance. We come together to share , listen, express, inspire, heal and reconnect to one another and ourselves. As Women once did... 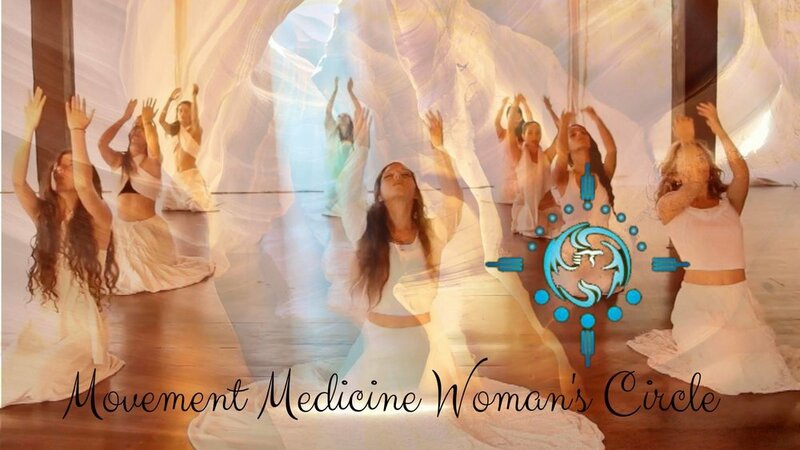 Since the dawn of creation..
You will arrive to a Beautiful candle lit Sacred Space where we will reconnect through Movement Medicine practices & Ritual to access the power of the Sacred Feminine. In all her facets SHE is SO WELCOME! Opening ourselves up to new landscapes. The Invitation is to through time Anchor and Integrate the Jewels and practices you receive into your daily life. Each Gathering will have a unique flavour with different focus and practices. There is no requirement to come to them all YET of course the more you commit to the deeper the journey and healing will be for you. SPECIAL OFFER - if you bring a friend you both get a discount rate! OPTIONAL- There will be some time at the end to drink tea and be together so if you feel to bring a tasty small something to share wonderful! Please wear comfy clothes to move in. Please bring a notebook & Pen , Cushion or sheepskin to sit on, water bottle and a blanket for relaxation at the end of the session, and something small that has meaning to you and being a part of this circle at this time. A few art materials will be provided please also bring some if you have them. I So Look forward to embarking on this Journey with you Beautiful Ones!